The Philippine Educational Theatre Association (PETA) brings back to the stage its iconic, Filipino musical phenomenon, “Rak of Aegis”, this June. Audiences old and new are in for a treat now that Barangay Venezia is coming back on stage. Geared for 77 shows on its 6th season starting June to September, Rak of Aegis will be featuring fresh off-the-boat performers from its contest-like open auditions entitled, "Hu Got Talent". Almost a hundred hopefuls sent their video entries to PETA (a tribute to Rak’s protagonist Aileen and her online fame via viral video), were screened and trimmed down to Top 20. After over two months of rigorous trainings and workshops, PETA proudly introduced the freshest faces who will join the original cast during its recent press preview: World Championship of Performing Arts multi-medalists Shaira Opsimar and Princess Vire as Aileen, Tawag ng Tanghalan contender Kent Pontivedra as Tolits, theatre artist and teacher Remus Villanueva as Kenny, and Ateneo Blue Repertory RENT’s Adrian Lindayag as Jewel. For the ensemble, 5thGen band leader Marielle Mamaclay, TV actor Gil Aguedan, Sandbox Collective Himala’s Matel Patayon, and Madison Events performer Crystal Paras will be stepping in. Another new addition for Rak’s new season is Palanca award-winning writer/director Rody Vera as Fernan. 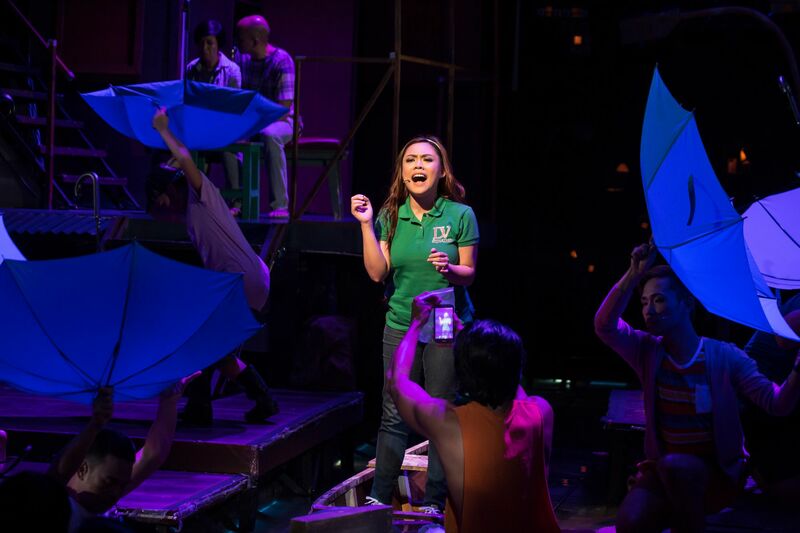 After five runs and almost 300 shows, Rak has taken Philippine theatre by storm. Director Maribel Legarda was confident that the production would do well at minimum, but nobody expected how big of a success it would become. Rak is one of the Filipino productions that pushed into the limelight the trend of jukebox musicals, giving birth to a newfound appreciation for theatere and for OPM, crossing all boundaries of social class and age. Legarda attributed the success of Rak to many things. Ultimately, it was the perfect mix of various elements that came together that created the phenomenal masterpiece. “First, we chose a very important band that apparently so many people across all social classes and ages are very familiar with. Secondly, the story that we chose, which is about a community in floodwaters, became so relevant.” Legarda recalled that in the process of putting together Rak of Aegis, Typhoon Yolanda happened, which made the material even more poignant. Prior to this, the devastating events of Typhoon Ondoy also served as inspiration for the story. Despite Rak returning again and again to the theater, audiences remain to love the production as if it were the first time. Every season, PETA always tries to do something different, whether it is by tweaking the script, adding music, or adding new cast members. Although the story of Rak is perpetually relevant, the magic is that there was always something fresh about every run. Rak in its own right has definitely soared above many challenges and aged gracefully since its first run. In times of crisis, Rak teaches people about the power of resilience and love. “Rak has been so successful because it was made with such love and generosity. What makes it very ‘PETA’ is how we managed to expand the ‘love’ content of Aegis to be more than just personal but expand it to a sense of community,” says Legarda. Today, as we face politically, economically, and environmentally challenging times, “Rak of Aegis,” encapsulates the Pinoy trait of having a positive outlook and fighting spirit to rise above what can drown the people—coupled, of course, with having a good laugh, listening to beautiful voices, and investing in an engaging story on the PETA stage. Truly, Rak of Aegis has served as the Pinoy’s little oasis in these challenging times.